For a nice writeup of my travel photography work check out this recent feature in PhotoMedia. I am a strong believer in public service and have been a board member and past-president of the Stock Artists Alliance representing stock photographers worldwide. 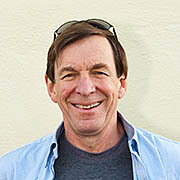 Hi, I came across this article:http://googlebase.blogspot.com/2006/01/in-spotlight-david-sanger-photography.html, about how well froogle, Yahoo & Google images have served your on-line business. I have been endlessly looking for any references to help me define products for royalty free and licensed images, to absolutely no avail! Lastly, a few on-line docs mention an option in Google's webmaster tools to enable searching images, which simply isn't there! Please help me!!!! I came across your website today. I grew up in Worcester Mass and saw you went to Umass. up with you for a cup of coffee or Tea. David, I wanted to contact you and say how much I admire your work. I am just starting out in travel photography – I have a long way to go! Please shout when you come back to the UK, it would be great to meet you.